Compatible with EVABarrier 9.5 mm OD tubing (D1719). 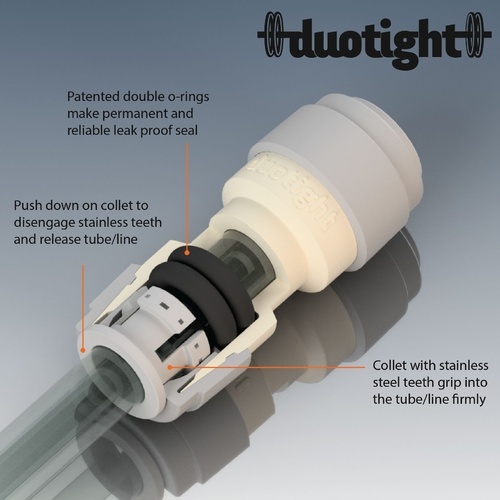 This Duotight check valve is a great idea for protecting your regulator. 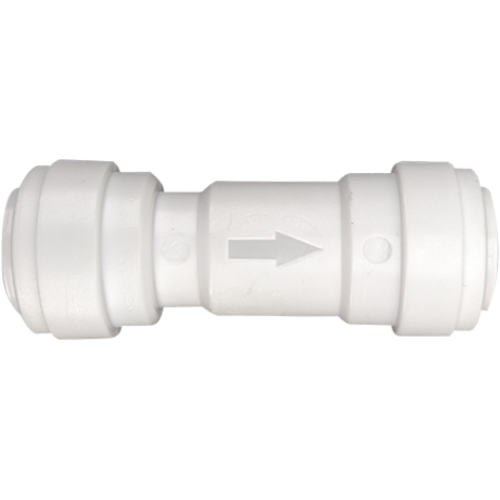 It has a low opening pressure of 1 psi, and since it cannot be opened or taken apart, it is recommended for gas applications only. The internal components are made from stainless steel.